It would be nice to know what the recommendation or limit is for the game, I remember Dutchy posted something up, but thats buried in the pages somewhere. I'm starting to make some props and I would like to know how detailed they should be, especially the trees. I can make a cone and cylinder for pines trees, but I would like to know if I can 'branch' out, maybe make some other stuff. Minimize the number of meshes. Disable "export transform" on all objects that don't move relative to their parent. Some objects in C&C Generals ended up with 100-200 separate meshes, this should be more like 10 or less whenever possible. Things that animate relative to each other have to be separate meshes. The main thing for PC performance is to have the art be in nice big "chunks". If you have a lot of polys / vertices all using the same material and transform (if rigid - skins can use multiple transforms and still be the same 'chunk') then it will be rendered as one 'chunk', or draw call. In many cases, the number of 'chunks' is the limiting factor on performance. The W3X viewer reports the number of draw calls - artists should have a strict (and low) budget on that number for every object they create. Keep the number of skinned vertices to a minimum. Skins incur a significant cpu cost in addition to all of the other costs of rendering your object. Keep the number of vertices to a minimum. The complexity of your model will determine the number of vertices. On today's hardware, its almost not worth rendering any mesh with fewer than around 200 vertices so don't use lots of low detail meshes; use fewer more detailed meshes. Using hard edges can increase the vertex count. Smooth everything but the most absolutely necessary hard edges. Using discontinuous uv-mapping can increase your vertex count. This is often un-avoidable but just be aware that this is another way your model's vertex count goes up. Always check the vertex count displayed by W3XView or in the export log of the W3X exporter; this is the real vertex count, and don’t rely on the reported count in within Max. Thanks, all though I didn't really understand half of it. 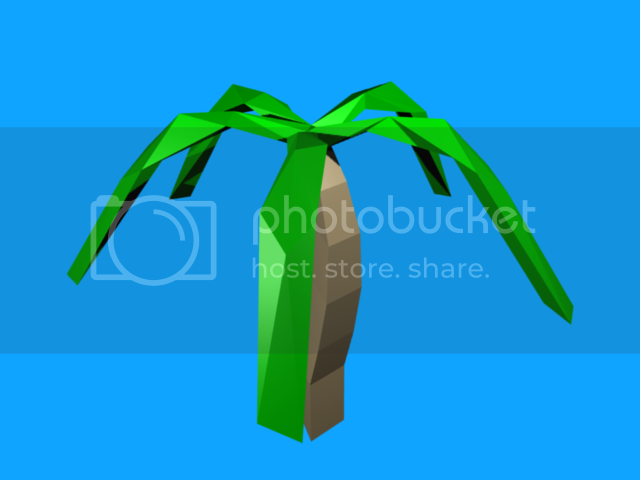 Right now I am making trees, and I would like to know how complex to make them. I pulled out a random tree from a .big, and it had 36 faces. If a machine can run C&C3, could it run the Generals engine that is using the models as complex as c&c3? Ah, what am I kidding, the difference between 30 and 60 polies can't be that bad on my trees. Like,how many?I'm rather curious to find out which is. But why the heck to EACH single type of unit have to have a limit?Don't they ALL have the same limit? Look, what I gave you are the adviced polycounts Use these for units/structures you use much, or from which many can be at the screen. It's not advisable to give MBT more then 1000 polies because it will lag the game. Obviously that the game will lag,its a 3D game,but because the polycount is high,that doesn't mean it will necessarily lag,because lag depends rather more on how good your computer is,rather than how big the polycount can be. PS:I broke the polycount limit long time ago,didn't had any crashes. I broke the polycount limit long time ago,didn't had any crashes. The hard polygon limit Dutchygamer is talking about is somewhere upward in the hundreds of thousands if not millions. I wouldn't worry too much. What he posted are not limits. They are recommendations. You obviously don't want a tiny first tiered infantry, which will be created more often and in mass numbers, to have the same or exceed the amount of polygons that a building has. Worldbuilder will crash when you have a thing that is too complex, although I haven't seen the game crash yet.